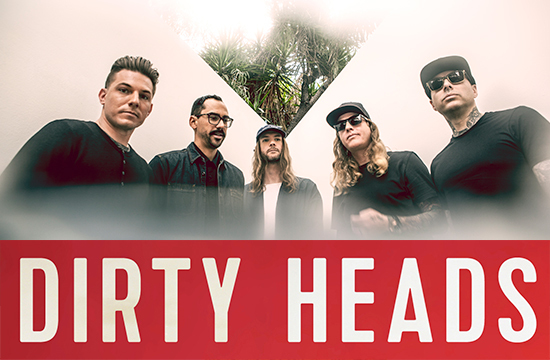 After two decades spent chiseling their unique, multi-genre infused sound, Dirty Heads have finally come into their own. Since the release of their 2008 debut ‘Any Port in a Storm,’ the five-piece band — Jared Watson (vocals), Dustin “Duddy B” Bushnell (vocals/guitar), Jon Olazabal (percussion), Matt Ochoa (drums) and David Foral (bass) — has consistently experimented with their sunny style, leaning heavily on reggae fused with hip-hop cornerstones and scaling back for more acoustic fare, darting between extremes. But it’s with their fifth and self-titled album that the group has felt fully confident in a body of work, ready to bring their unique style to the masses. In late 80’s Gin Blossoms started to grow a huge following as the #1 local music draw in Phoenix and certainly were the hometown heroes of their favorite hang, Tempe, Arizona. 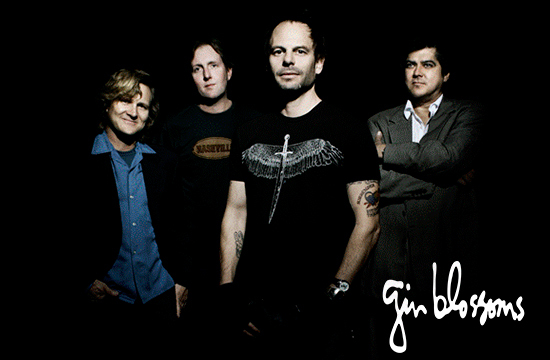 Gin Blossoms indelible jangle-pop sound was evolving during radio’s diverse mix of hair bands and grunge music superstars like Nirvana. After the Phoenix New Times chose them the city’s best rock band, they qualified to play at the South By Southwest Music Festival in Austin, Texas in 1989. That same year, College Music Journal dubbed them the “Best Unsigned Band in America” and added an invitation to perform on MTV’s New Music Awards in New York City. The Gin Blossoms have been defining the sound of jangle pop and indie rock for more than two decades. Piko Taro is a singer/ songwriter from Chiba prefecture, Japan. 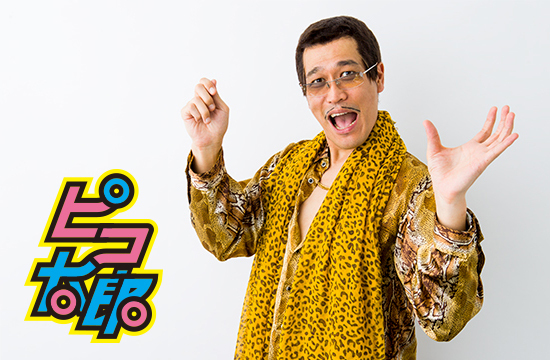 His video, “PPAP (Pen Pineapple Apple Pen)” went viral on the Internet after being posted on Youtube last summer. Shortly after that, Justin Bieber posted on his twitter saying it is his favorite video on the Internet, which stirred more buzz. Global media including CNN and BBC then picked up the story and turned him into a globally recognized star. Piko Taro’s song also reached American Billboard Chart Hot 100, which was the first in the last 26 years as a Japanese artist. His song is also registered as “the world’s shortest song” in the Guinness Book of World Records. 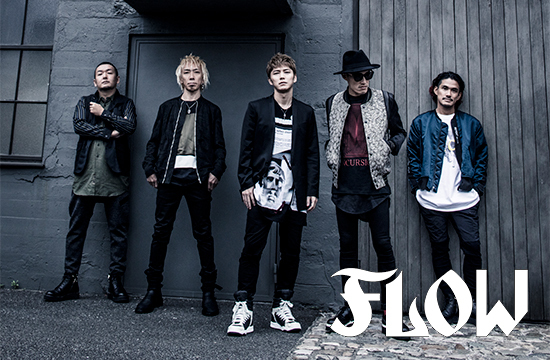 Flow is a five-piece Japanese mixture rock band made up of KOHSHI (Vo), KEIGO(Vo), TAKE(Gt), GOT’s(Ba) and IWASAKI(Dr). Brothers, KOHSHI (older brother, Vo) and TAKE (younger brother, G) started playing together in 1993, and formed FLOW in 1998. One year later, KEIGO (Vo) and GOT’s (Ba) were added and in 2000, IWASAKI (Dr) joined the group. The group made a major debut in 2003 with a first single “Blaster,” and kept releasing hit after hit, well received for their strong twin vocal melody and their wide range of musicality. They have released numerous anime tie-in songs such as “Naruto” opening theme song called “GO!! !,” Code Geass : Lelouch of the Rebellion R2’s opening theme song called “COLORS,” Tales of Zestiria the X’s opening theme song called” Kaze no uta,” and have earned their popularity over a long period of time. Their energetic live performance is also something not to miss. In 2008, they had a successful solo live concert at Nippon Budokan. But not only in Japan, they keep getting offers to play at various festivals worldwide and performed in more than 15 countries since 2006. In 2015, they completed a world tour, which took place in eight countries including Japan, Taiwan, USA, Canada, Brazil, Peru, Chile, and Argentina. The group continues to perform and deliver music across the border. *Ekiden registration fee includes admission to the nighttime concert at Waikiki Shell (lawn seats). Tickets are first come first served for the first 2,000 participants. No coolers, outside food & drinks allowed. No hydroflasks allowed. (Only empty, clear, non-glass water bottles allowed). No packages, bags, knapsacks and backpacks allowed. Small purses not to exceed 12″x12″ (One per person & subject to search). No chairs, back rests only. Any outside alcoholic beverages will be confiscated. Any patron under the age of 21 found drinking will be subject to ejection and/or arrest.